Laurie has been playing the harp for over 30 years and was a top prize winner at the 2007 Lyon & Healy International Jazz and Pop Harpfest competition. As a performer on the lever harp she has toured across the US, Canada and Europe as a soloist and in collaboration with a variety of international musicians from violinist/fiddler extraordinaire Gilles Apap to the King of the Pipers, Paddy Keenan and Celtic harpist Kim Robertson. While living in Italy in 2000-2003 she was a featured artist and prize winner at Celtic music festivals around Italy and Germany, opening for The Boys of the Lough and Altan and sharing the stage with uillean pipers Diarmaid Moynihan and Massimo Giuntini, guitarist Roberto Dalla Vecchia and the Celtic group Inisfail. In 1999 she appeared on stage nightly and served as Music Director for the Irish dance show “Spirit of the Dance” at the Eldorado in Reno, Nevada. As a pedal harpist, Laurie has enjoyed performing with a variety of ensembles including the Santa Maria Philharmonic, The Santa Barbara Master Chorale, the Santa Ynez Valley Master Chorale, the Adelfos Ensemble, the Choir of St. Barbara Parish, the SBCC Lunch Break Jazz Band, the Montecito Jazz Project, Cafe Musique, as well as appearing in such music theatre productions as The Fantasticks with the Ensemble Theatre Company of Santa Barbara. Since 2010 she has been a member of the SBCC Symphony Orchestra and in 2017 she joined the newly formed Folk Orchestra of Santa Barbara. Music has been a part of Laurie's life since childhood when her grandmother bought her a piano. That instrument led her toward other interesting musical adventures: she learned to improvise while playing vibes in a jazz band and as a clarinetist she toured Austria, Switzerland and Germany with an award-winning orchestra. After graduating from the University of Colorado at Boulder in 1985, Laurie found her calling when she fell in love with the sound of the Celtic harp and built her first instrument from a kit. This inspired her interest in the building and design aspects of the harp so she moved to California and spent two years working as a luthier for a well-known harp maker. Learning about harps from the inside out was a great experience but she grew tired of breathing all that sawdust and discovered that she enjoyed playing harps more than she did building them. Time spent living and traveling in the British Isles and studying with native players instilled in her a love of the traditional Celtic genre. Consequently, her passion became interpreting this music on the harp. After setting back in the US, she began exploring the chromatic possibilities of the pedal harp. 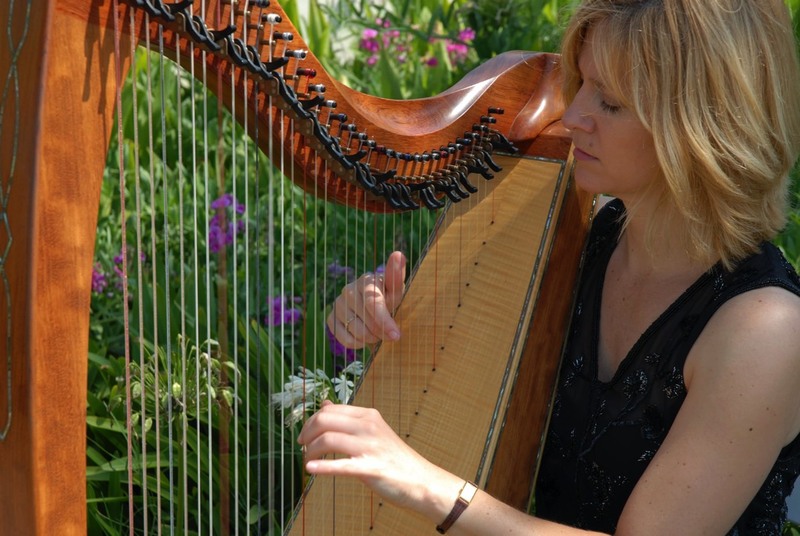 Currently, Laurie makes her home in Santa Barbara, California where she teaches harp, performs at public concerts and private events and owns Santa Barbara's only harp store, Harps by the Sea. When not playing the harp, Laurie is a world traveler, an avid marathon runner and a devoted beekeeper.